On multiple previous trips to Italy, I somehow failed to visit Florence. It turns out this was somewhat of an oversight, because, well, Florence is unbelievably pretty. Like, in your face, over the top, can’t quite believe it’s real pretty. Suffice to say, if you’re planning a trip to Italy, make sure you include Florence in your plans. Those plans can also include Rome and Venice of course, for a trifecta of Italian goodness, but yes, Florence. Put it on the list. We recently spent just shy of a week in Florence. We based ourselves in a central Airbnb and explored a lot. Of course, not everyone has the luxury of a week. Maybe you’re going to be spending two days in Florence – perhaps a weekend. Maybe you’ve got it scheduled in as part of a longer trip of Italy, and don’t have all too many days to spare. Fear not. 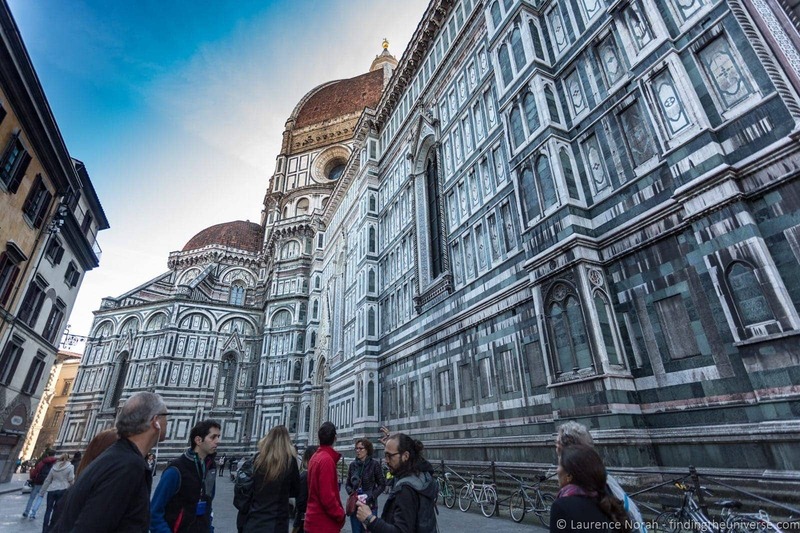 Thanks to the nice people at Walks of Italy, there’s a way you can see the highlights of Florence, plus take a tour of Tuscany from Florence, in just two days! Here’s how we did that. First, like I said, this itinerary was made possible thanks to Walks of Italy. These guys have two excellent tours that will let you see an awful lot in two days. 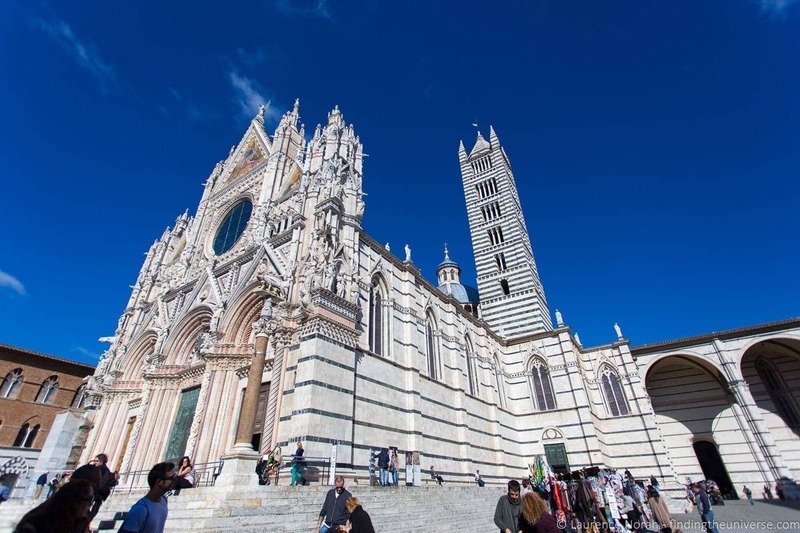 These tours are the Florence in a Day tour, and the Tuscany Day Trip tour, which departs from Florence. 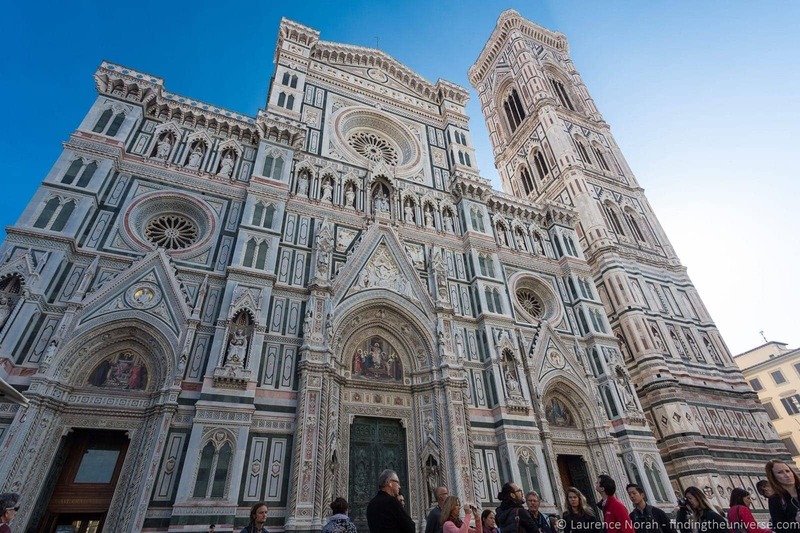 Between these two tours you will see all the highlights of Florence as well as some of Tuscany’s more impressive sights. 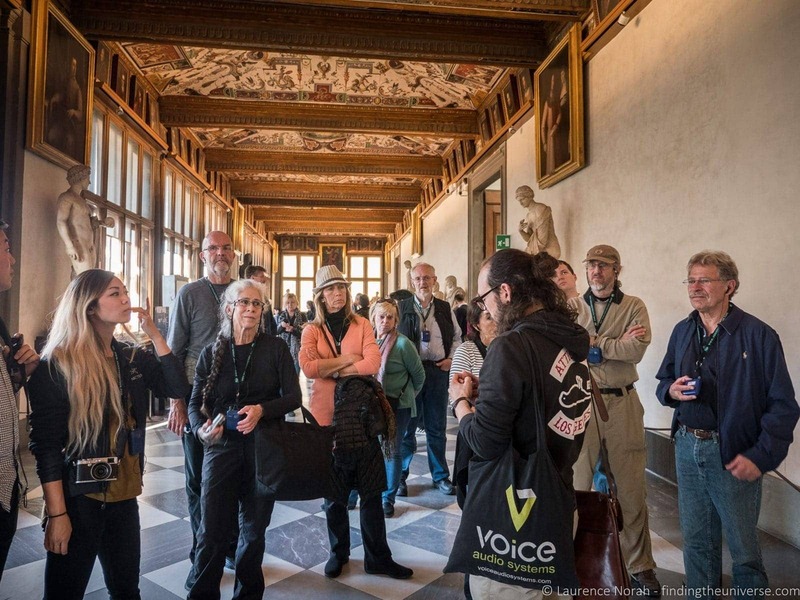 Let’s have a look at the first of these tours, Florence in a Day, see what it covers, and what makes it a great tour. 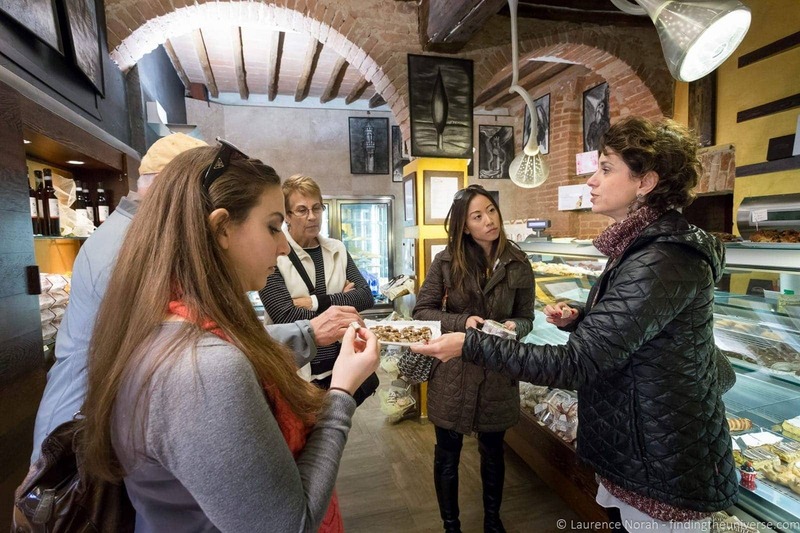 The Florence in a Day Tour is a full day tour that kicks off at 8.15am and runs through until around 4pm, with time scheduled for you to grab a bite to eat in the middle. 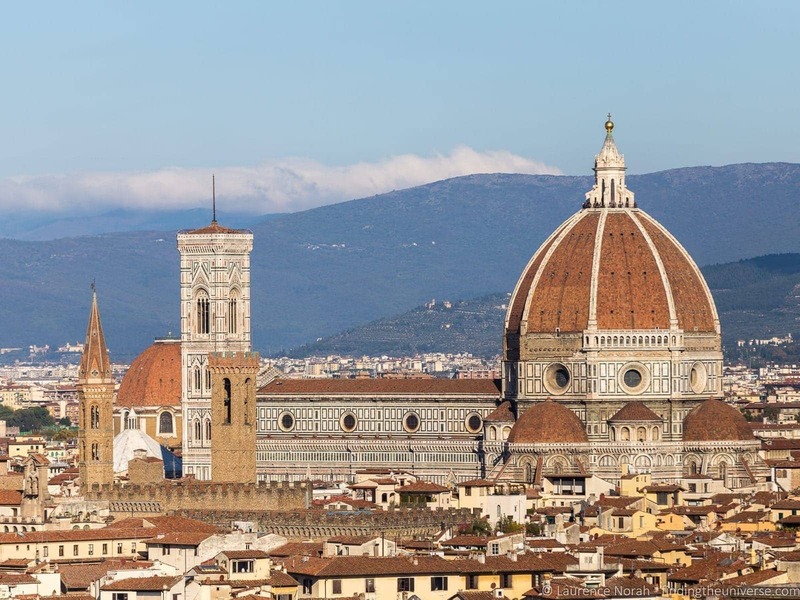 It aims to cover the essentials of Florence, including Michelangelo’s David statue and the Uffizi Gallery, as well as highlights of the city from the Duomo to the Ponte Vecchio. 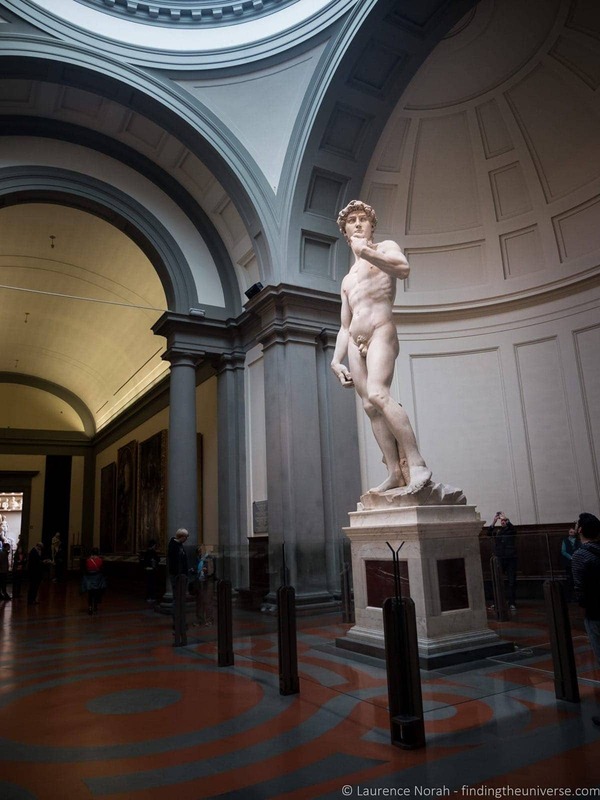 The tour met a short walk from the Florence Accademia, home to the David statue. After a little introduction from the guide, we were whisked into the museum. One of the nice things about Walks of Italy tours is that all the tickets are included in the price, and they’re all organised in advance, so there’s no waiting around or prolonged queuing – it’s just straight in. More time experiencing, less time waiting, always a good thing. Our guide showed us some of the notable installations in the Accademia, but to be honest, the main reason for visiting was the David statue, and it wasn’t long before he appeared at the end of a room filled with a number of other key Michelangelo pieces that help show his techniques and progression as an artist over his life. Our guide, who knew an insane amount of stuff about Florence, art, and Michelangelo, brought us up to date on all the pieces in the room, and why they were both important, as well as their relevance to the David statue. Then we got to spend a good amount of time with David himself. It’s hard to really explain how impressive this statue is up person, and it’s always strange to see something in real life that you’ve seen countless images of before, suffice to say, I wasn’t disappointed. 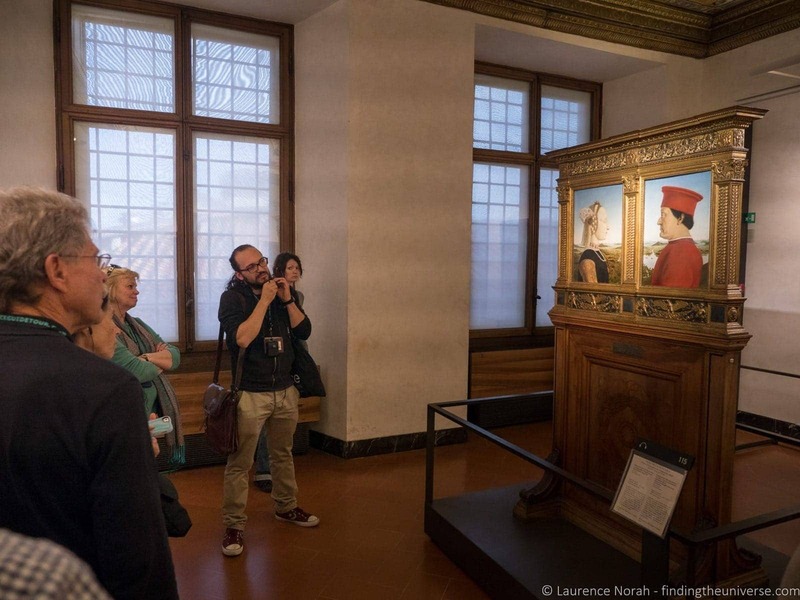 Plus, with the early entrance (basically as soon as the Accademia doors open you’re in! ), it wasn’t crowded at all. When we left, and saw the queues down the block to get in, we were extremely relieved that this was on our tour and not something we’d have to battle through lines for! 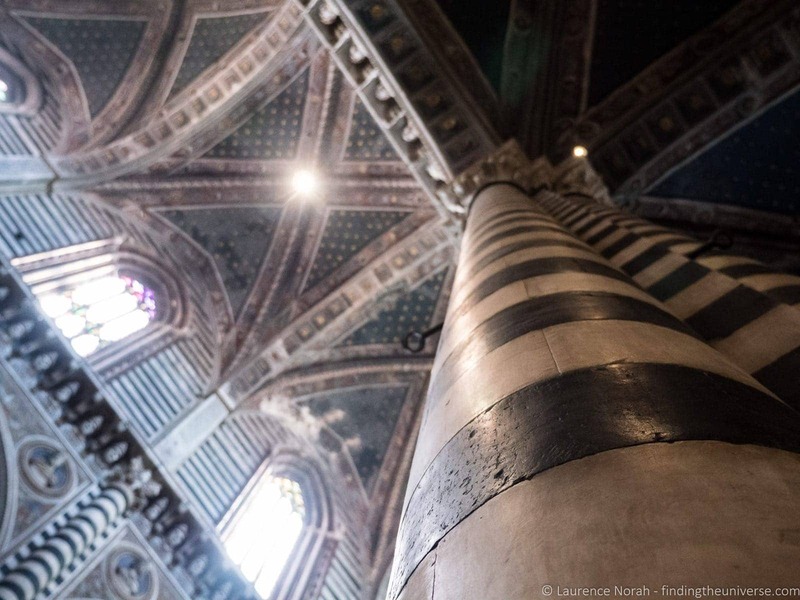 Following the majesty of David, it was on to another Florentine classic – the Duomo. This unbelievable construction, which features the largest brick dome ever constructed in the world (not bad for something put together in the 13th century), dominates the skyline of the city. It’s not just about the dome either, the building itself is just stunning, with a fabulous marble façade. Inside, the duomo is a little more austere than it’s exterior would have you believe, but our guide explained the reasoning for this, as well as giving us lots of information as to how that incredible dome was built. It was fascinating stuff, particularly given the age it was built in! Moving on from the duomo, our tour continue to wind through some of the more interesting streets of Florence, before we wound up at the lovely Ponte Vecchio – one of the few remaining bridges in the world to have shops on the bridge. It’s also fascinating as above the bridge runs a portion of the Vasari Corridor, a mile long private corridor built by the insanely wealthy Medici family, who obviously couldn’t just wander around with the riff raff in the streets below when getting from their residential palace to the palace of government. At the Ponte Vecchio, our tour paused, and we were free to head off and find lunch at our leisure, before we resumed the tour with a visit to the Uffizi Gallery. The Uffizi Gallery is easily the most impressive art gallery in Florence. 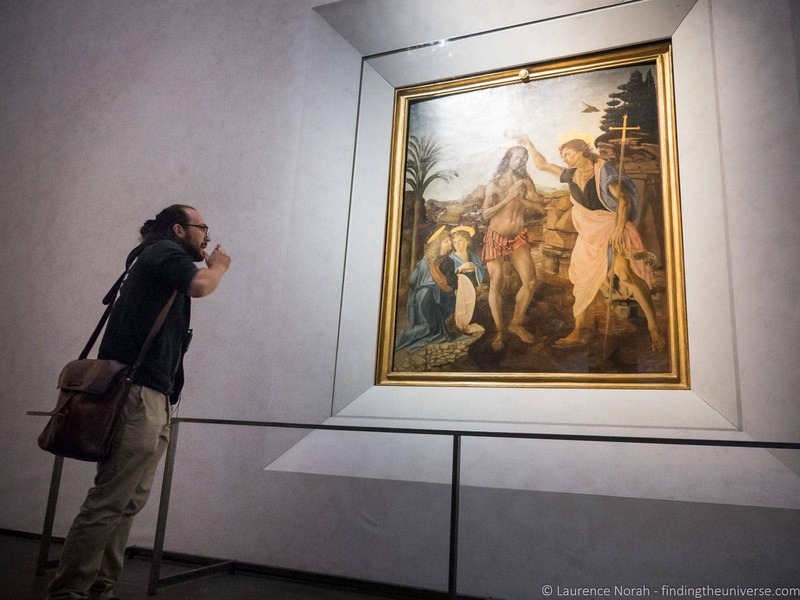 Florence, you must remember, was the birthplace of the Renaissance, and this art gallery is an incredible walk through time of the evolution of art pre, during, and post Renaissance. It’s an absolutely unmissable part of a visit to Florence, and having a guide really adds to the experience, as they can explain so much about what you’re looking at that you would otherwise likely miss. We saw some of the most famous paintings in the world by masters including Botticelli, Caravaggio, Raphael, Michelangelo, Da Vinci and more. Paintings that you will have seen countless times over, but are somehow just mesmerising in person. And as I previously mentioned, having a guide to walk us through it all, and explain the evolution of art before, during and after the Renaissance period was really helpful. Finally, our tour ended, and we were free for the rest of the day, which in our case meant hotfooting it up to the Piazzale Michelangelo for the best view of Florence at sunset. 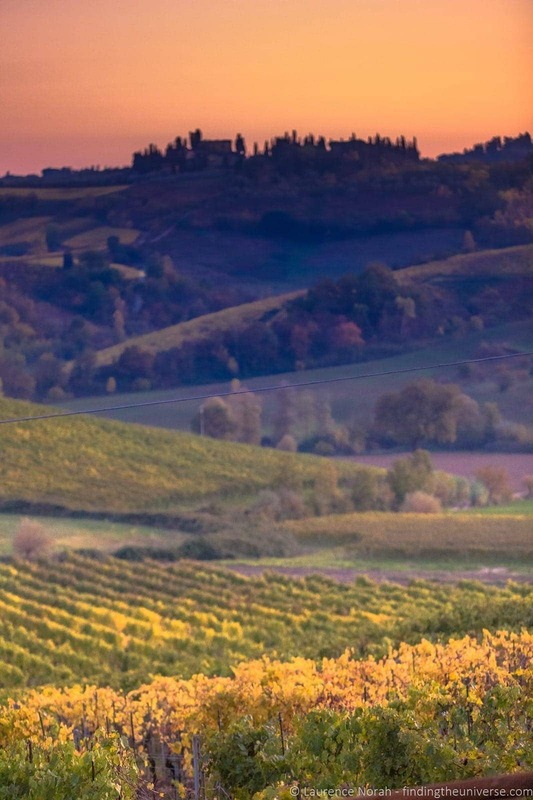 Of course, Tuscany is more than just Florence, and you’re likely going to want see what else is on offer in this remarkable part of Italy. 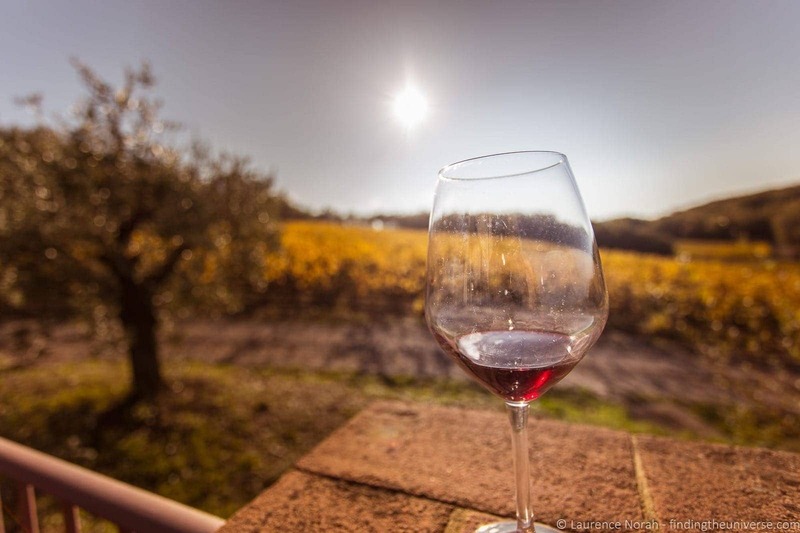 Fear not, Walks of Italy have you covered with their Tuscany Day Trip, which features some of the highlights of the region, washed down with plenty of wine. Let’s look at what that day looked like. This adventure started in the city centre of Florence, where our small group of seven met our guide and hopped into a comfortable mini-van. Our driver first took us up to the aforementioned Piazzale Michelangelo, which is definitely one of the best places to get a view of the Florence skyline. We paused here for a short while to take the view in and get some photos, before setting off on the 40 minute drive to Siena. 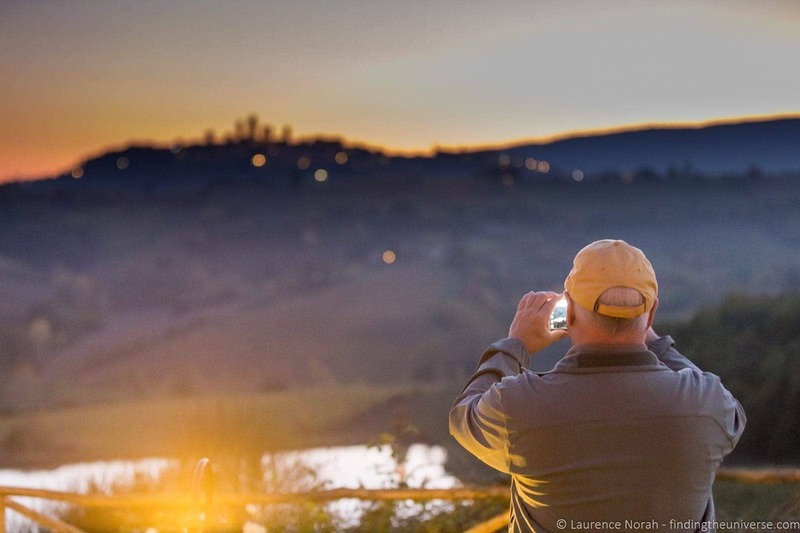 If you have a chance, come back here for the sunset during your stay in Florence. 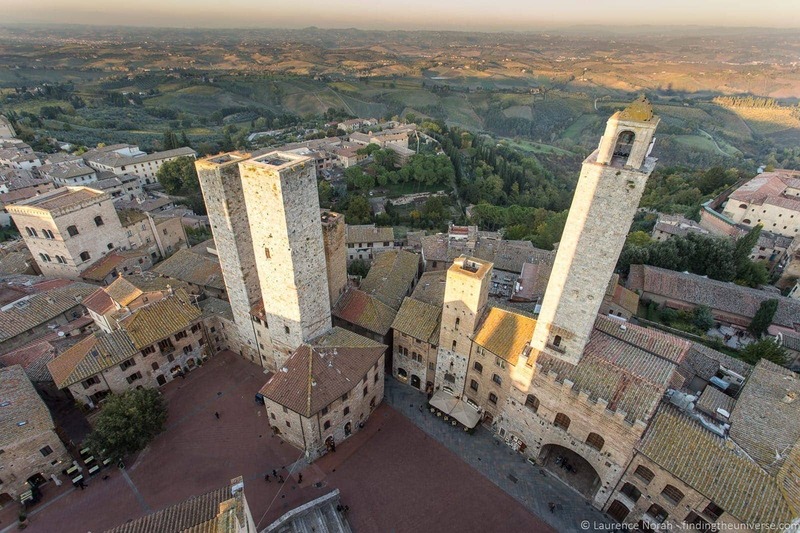 Generally, when you tell people that you’re going to be visiting Tuscany, they will urge you to visit Siena. And for good reason. 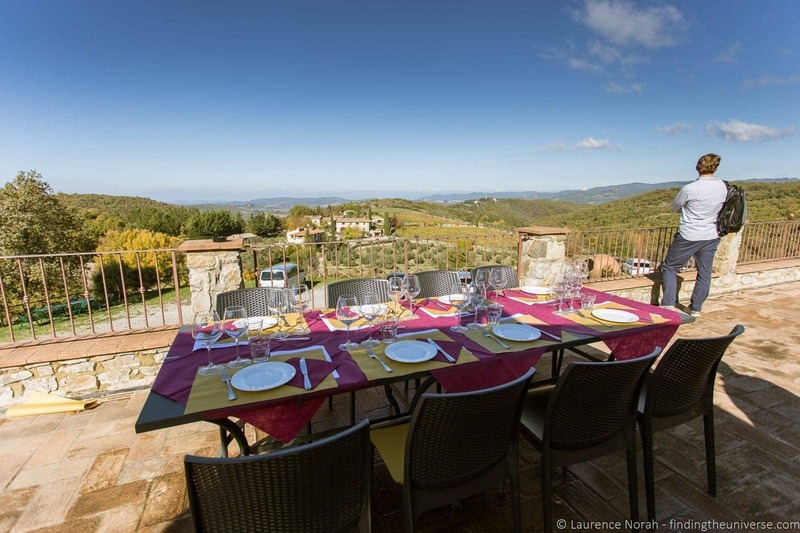 This picturesque medieval Tuscan hill town has some fantastic sights, including an intriguingly shaped town square and a swathe of churches, not to mention gastronomical delights and an incredible tradition of art and culture. 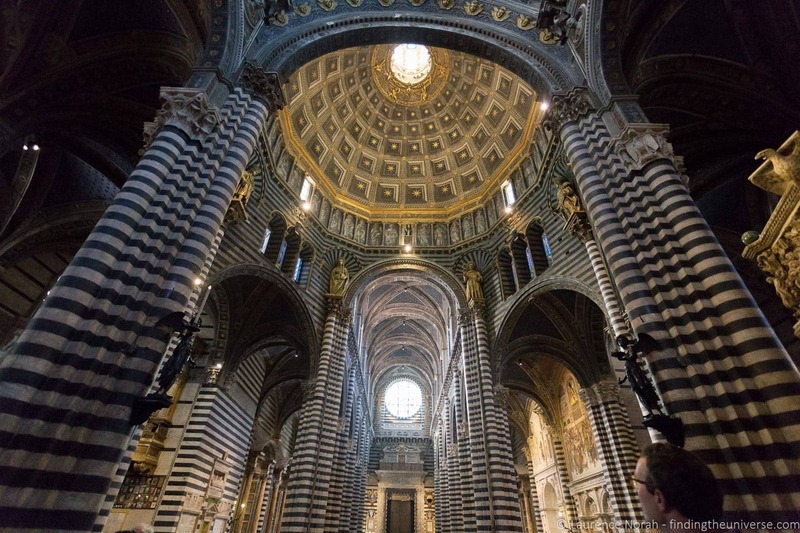 Our tour wound us through the city streets, where we sampled local delicacies in some of our guide’s favourite shops, took in the Piazza del Campo, home to the annual traditional medieval horse race, before finally winding up at Siena’s jewel – the Siena Cathedral. Completed in 1380, I have to admit that it reminded me somewhat of a giant liquorice allsort, although I suspect that probably wasn’t the intended effect. In fact, the comparison should be the other way round. This is a stunning building, constructed from white and green/black marble, and you could probably spend a good amount of time just gawping at it from the outside. You don’t want to miss a visit inside too though. The interior is also very impressive, in particular the mosaic floors, and since this is included on the tour, is a no-brainer. 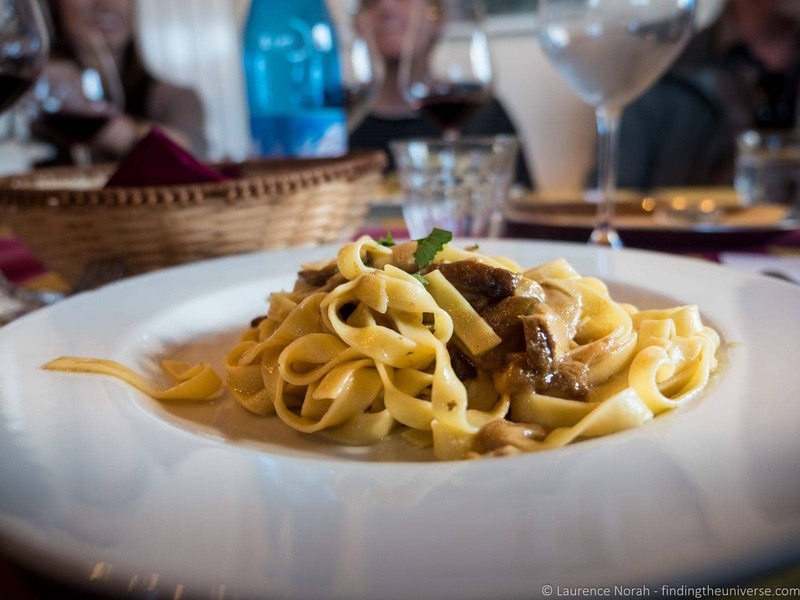 From Siena, the tour heads up to lunch. One of the really nice things about this tour is that meals (and wine!) are included, which in my mind made for a really great value tour. Our lunch stop was the Poggio Amorelli winery in the Chianti region, which as you might imagine, produces Chianti wine. 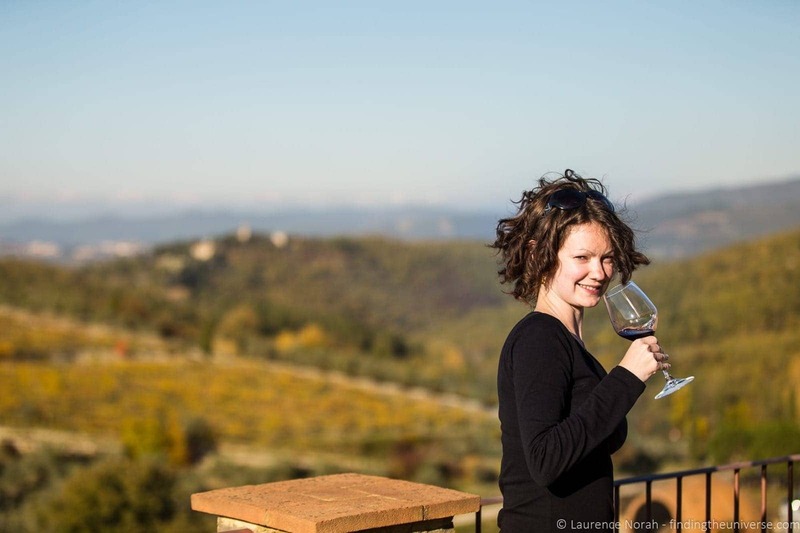 After a tour of the winery itself, we had an excellent lunch of delicious Italian food, all accompanied by a tasting menu of wines, with a backdrop of Tuscan countryside. Not a bad way to spend an hour or two. I have to admit, it was a little bit of an effort to put together the motivation to continue our explorations after such a fine lunch, but nevertheless, it was time for a bit more adventuring. The next stop on our adventure was the town of San Gimigiano, which, like both Siena and Florence, is a UNESCO world heritage site. Here we had a fair bit of freedom in what we chose to do, with some folks diving into the shops, and others choosing to just wander a little. I took the opportunity to climb the biggest bell tower in the town, which rewarded me with fantastic views of the surrounding scenery, just as the sun was setting – if you’ve got the energy to do the same, I can highly recommend it. Finally, our tour finished up with a wine tour and evening appetisers at Fattoria Poggio Alloro. A working farm, as well as a winery, we also were lucky enough to experience the feeding time of the gorgeous white Chianina cows – a famous sight on the Tuscan hills. After the cows were fed, so were we, with more excellent wine to wash it all down with. This was a lighter, appetiser style meal, but we were all so full from lunch that it was just right. Then, it was time to say farewell to our new friends, as we returned to Florence and the tour ended. I really enjoyed this tour. It took in a good selection of sights, the tour group was nice and small, our guide was really friendly, and there was plentiful food and wine, with everything included in the up-front price. Overall, I’m happy to recommend both of these tours if you’re visiting this region of Italy and want to see as much as possible in as hassle-free way as possible. You’ll skip the lines, the guides know their stuff, and the groups are nice and small. Florence is a popular city to visit, and there are many hotels to choose from, ranging from hostels to 5* luxury, as well as apartments. To help you narrow this choice down a little, we’ve picked a number of central options for you to consider, across a range of price points. Hostel Archi Rossi – If you’re looking for a hostel in central Florence, this is an excellent choice. They have a choice of private and shared rooms, breakfast is included, and private bathrooms are available as is free WiFi. It’s also very convenient for the train station. Academy Hostel – Found just 100 yards from Florence Cathedral, this hostel is right in the centre of town. The property is well reviewed and offers dormitory and private rooms, some with private bathrooms. Breakfast is included. 3110 ArtHotel, this 3* property is a bit further out of the city centre, but this is reflected in the price. Otherwise, all rooms have a private bathroom and breakfast is usually included. Solo Experience Hotel – Overlooking the Basilica of San Lorenzo this well located 4* hotel has excellent reviews and a fantastic location. Rooms include breakfast and are en-suite. There are lots more options in Florence of course! 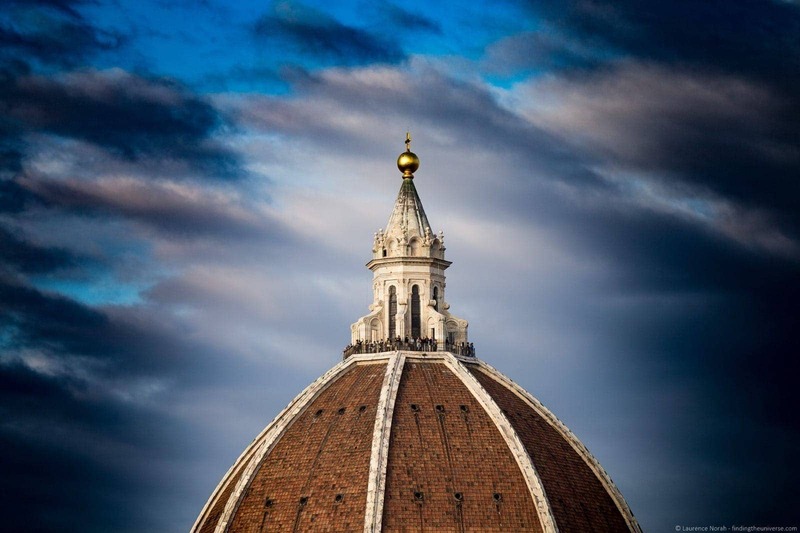 We recommend you take a look at the listings on booking.com for Florence. They have everything from apartments to hostels and hotels, and we usually find they have great deals and the widest choice. We’ve also stayed in an AirBnB in Florence. We find that for apartments especially, AirBnB tend to have the widest choice of properties, even if they aren’t always the cheapest. If you’ve not used them before, you can get up to $100 in travel credit (depending on the deal at the time) when you sign up with this link. Don’t forget that AirBnB isn’t the only game in town. We’ve put together a comprehensive list of AirBnB Alternatives here, which might result in you getting a better deal on a great apartment rental. 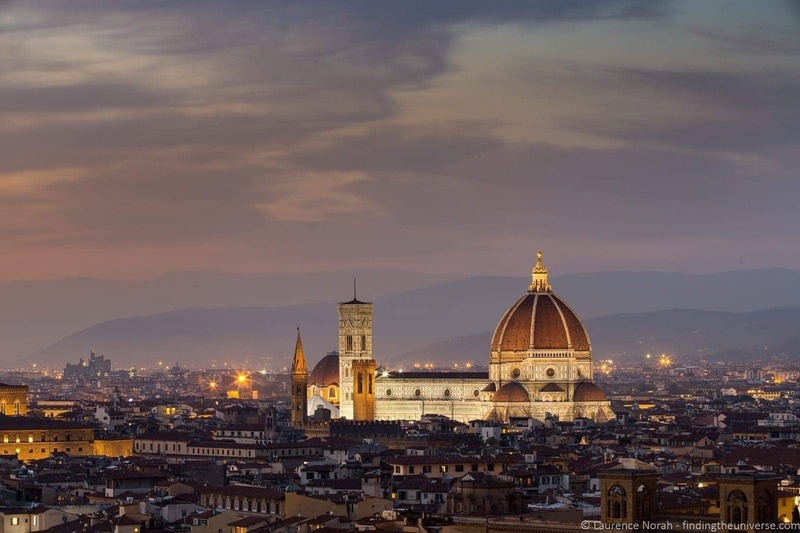 If you’re looking for accommodation in Florence, we recommend using booking.com. See their Florence listings here. Check out my review of other Walks products, including New York and Rome, for more insights! What do you think? Are you interested in taking one of these tours? Ever visited this part of Italy? Chime in in the comments below! 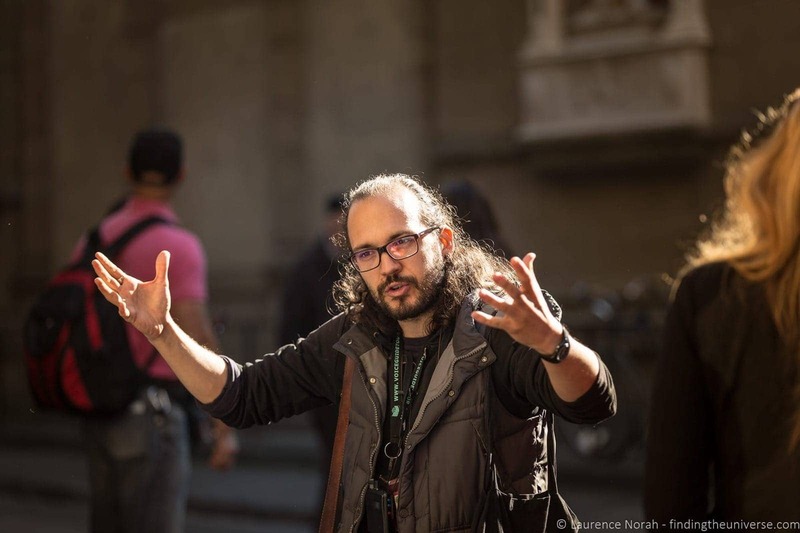 Disclaimer – We received complimentary walking tours with Walks of New York in exchange for sharing our honest opinion of the walking tours. For more on how we choose who to work with, see our code of ethics. Your blog is amazing, it has guided me so much for our upcoming trip to Europe. 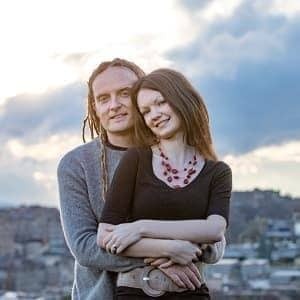 My husband and I will be visiting France, Italy, and maybe Spain? We haven’t decided yet because we only have 12 days. However, if we were to go only to France and Italy. Which cities will you recommend in Italy the most? In let’s say 6 days in Italy and what will be the best way to get around? Also, what will you recommend to travel between Paris and Rome? So with 12 days it makes sense to focus on less rather than rushing around. With 6 days in Italy, my suggestion would be Rome, Florence and Venice. This could be two days in each, or 3 days in Rome, 2 days in Florence and then a day in Venice. In terms of getting around, in Italy the easiest way is by train. These are high speed and good value if you book in advance, which you can do on the Trenitalia website, which has an English version. Hope this helps – happy to answer any more questions you might have! Thank you, we truly appreciate it! Hi. 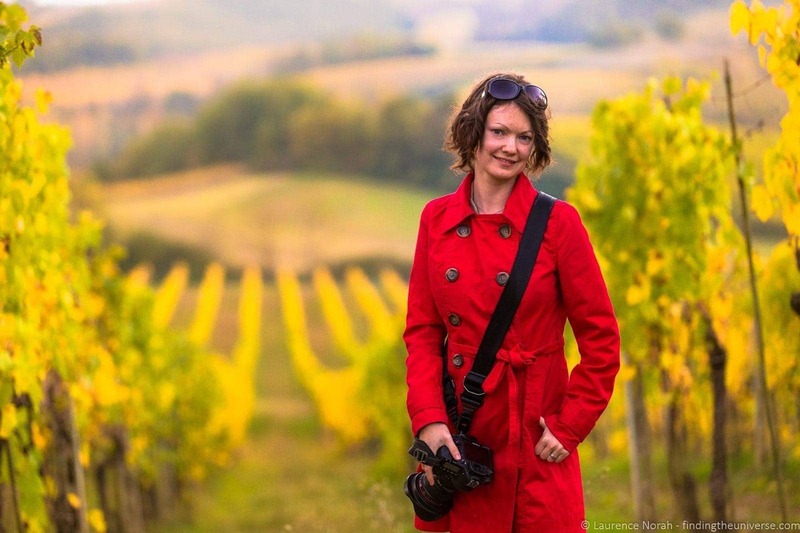 May I know how much do the Florence in the Day and Tuscany Day Trip cost respectively? I’m so glad that I found your Blog and it will take me awhile to read your Blog. I wish I could print it all out so I can read it on my way to work/home? We will be taking train all the way, do you recommend train or drive part of way? Is there any issue with Hire car company or any loop whole that we have to be aware or pay ie. taxes/insurance etc? I know we still have a long way to 2020 but is best to start planning now then later. I really appreciate it if you can give us some feedback through your experience. Thanks very much. We don’t offer a built in way to print a post as we are often updating them, however most web browsers have a built in printing option that you should be able to use to make a print copy of any page you are interested in having a copy of! You should be fine with the train all the way, it’ll be the easiest and fastest way to get around. 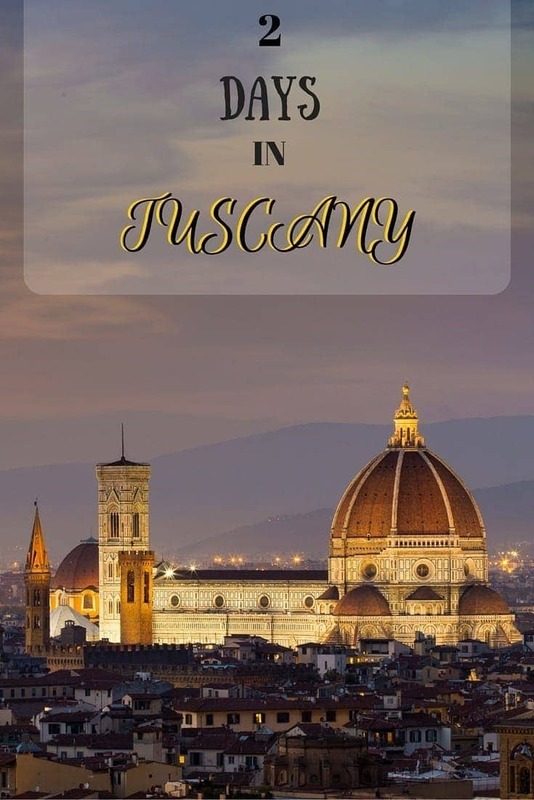 The only exception would be from Florence for exploring Tuscany – you could hire a car for this, or you could take a day tour, whichever you prefer. I definitely wouldn’t advise hiring a car for the rest of your time though as you won’t use it in the cities and you’ll just have to pay to park it. So I don’t think this will be worth it. I hope this helps – have a great trip and let me know if I can answer any more questions! Thank you Laurence for getting back. I really appreciate your quick response and I will definitely taking your recommendations and use your suggestions for my planning. I will continue reading your useful blog and is one of the best!!! My pleasure Nora – and thanks! Mayra – of course, it would be my pleasure. I have updated the post with a number of recommendations to help you out 🙂 Let me know if you have any more questions! When/what month did you visit Tuscany? The weather looks lovely. Lovely pictures and great tips, thank you for sharing this with us. Florence is such a great city and you mentioned all the important things to see if you are doing a short visit in the city. You mention: “If you’re interested in either of these tours by the end of the post, I’ve got a 10% coupon to save you some money on them.” I could not locate information on the coupon. Can you provide this coupon? Hi Glen – our apologies, the coupon expired recently and we removed it from the site. We must have missed that text – thanks for bringing it to our attention! 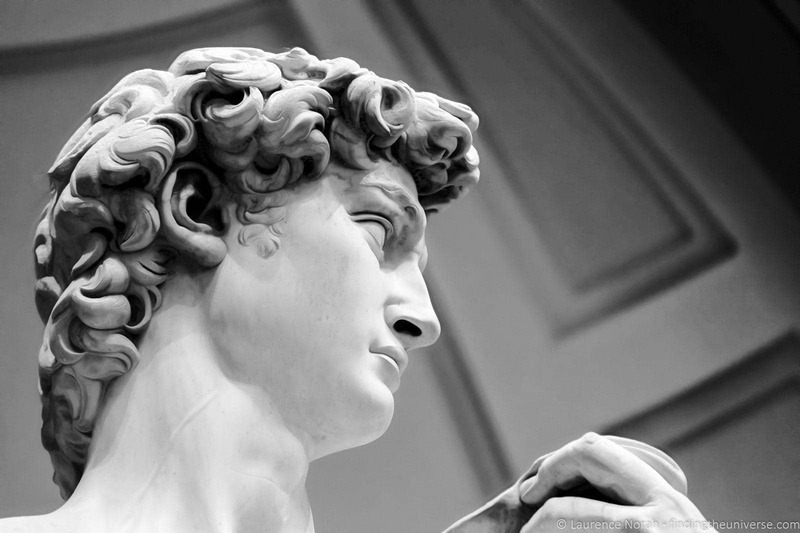 Absolutely stunning photos – I couldn’t stop looking at the David one. I’ve never seen it IRL either so it gave me a greater appreciation of just how impossibly beautiful a statue it is. I’ll get to Europe one of these days, history and architecture interests me much more now than it did in my youth! PS In the end paragraph you mention ‘Walks of New York’ but I assume it’s ‘Walks of Italy’ and not a parent company?